Monday November 4th at 8pm. 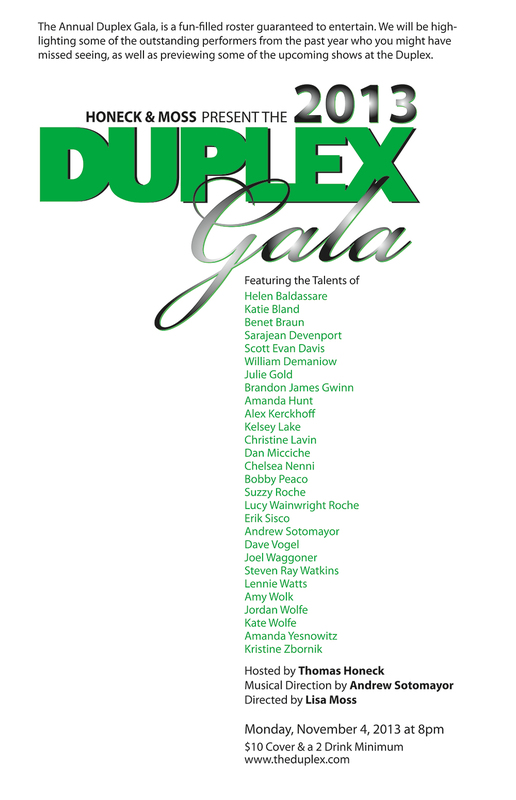 The Annual Duplex Gala, is a fun-filled roster guaranteed to entertain. We will be high-lighting some of the outstanding performers from the past year who you might have missed seeing, as well as previewing some of the upcoming shows at the Duplex.